Despite a less-than-successful experience with the small batch of AEC Reliance RC-type coaches purchased by London Transport (LT) for Green Line service in 1965, the Country Bus & Coach Department chose Reliances again when a requirement arose in the early 1970s to replace the Routemaster double-deck coaches which were expensive to operate with their 2-person crews. The 90-vehicle strong RP-class were the first coaches bought by the newly-formed London Country Bus Services Ltd although the Museum has seen London Transport drawings dated 1968 which confirm that plans must have been in place before the ‘green’ services were hived off in 1970. The RP coaches owed little to conventional LT design with their non-London body style but the choice of LT’s traditional body-builder – Park Royal – and the usual LT destination displays provided them with a more traditional link. 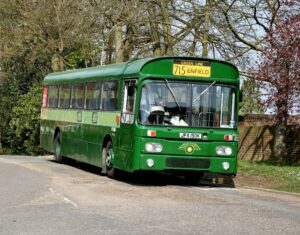 Delivered in traditional Green Line colours of Lincoln Green with light-green relief, within three years most of the type had been repainted into the light-green and white livery of the parent National Bus Company. The RPs did not have a long life by traditional London standards with withdrawals starting in 1979 and completed by 1984, although this was a reasonable life-span for front-line coaches. A small number were sold for further service in the UK and abroad but most went straight for scrap. It is thought that RP90 is one of only two to survive in the UK. 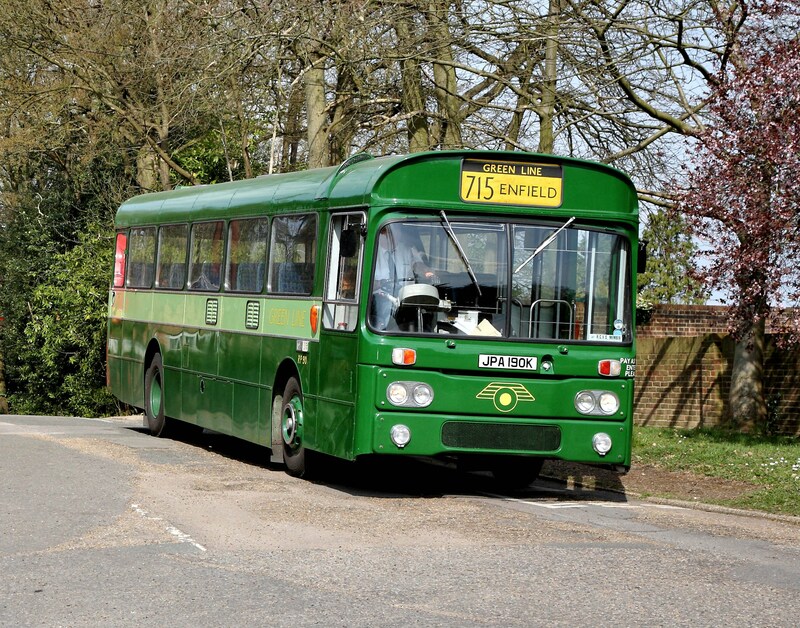 RP 90 was delivered new to Guildford garage in April 1972, replacing Routemaster coaches on Green Line routes 715/715A. It remained there for its whole London Country life, being withdrawn in April 1979. It was subsequently purchased by private operator Smith’s of Reading and operated for them until 1983 when it was acquired for preservation. From 1996 it was stabled at Cobham Bus Museum where a full restoration was carried out by its owner. The coach was acquired by the Museum in 2010 by means of generous donations from a group of Members and is now an active constituent of the Museum’s working fleet.